The best of the slides that I scanned last year. 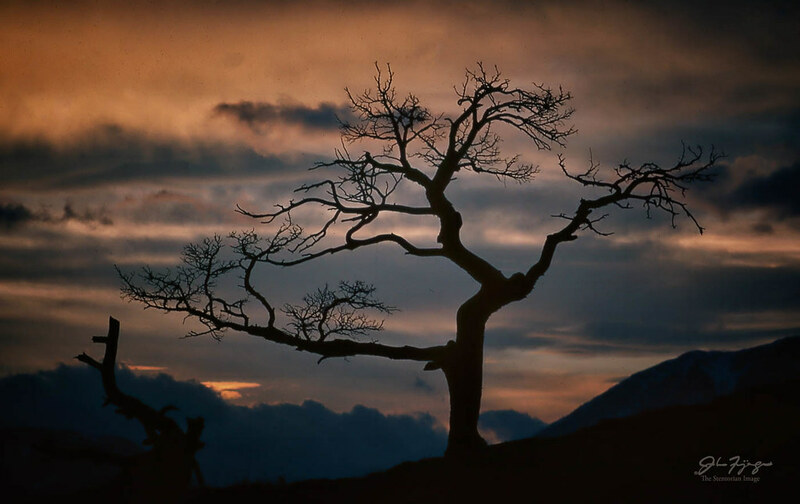 The Burmis Tree In Better Times from a Kodachrome slide taken in 1986 at Burmis, AB in the Crowsnest Pass. On a foggy morning in the Cypress Hills, we were wandering through the forest. I came across this fallen aspen tree. 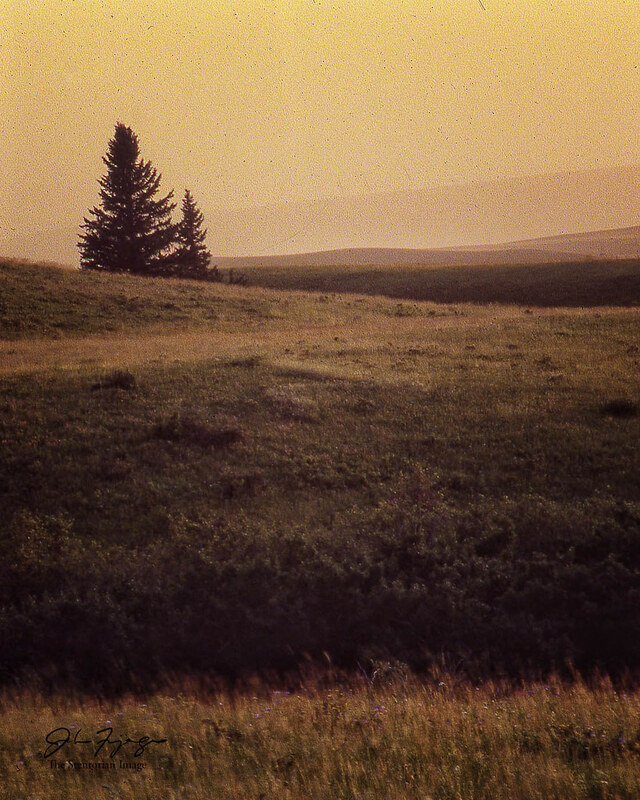 The triangular shape was repeated behind it in the spruce tree. 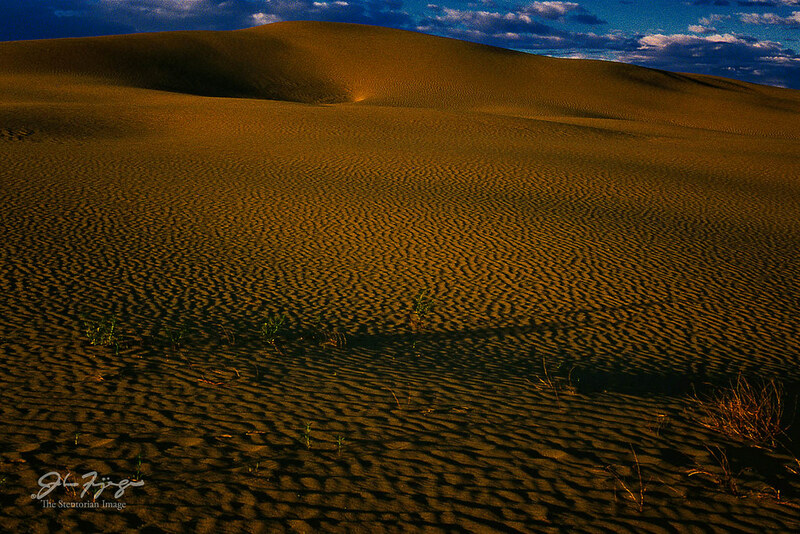 The afternoon light plays out over the live dunes in The Great Sandhills east of Fox Valley, Saskatchewan. I was taken there in 1986 with a small group led by Courtney Milne. I spent a long time just taking in the vista, then stuffed my shoes and socks in the camera bag and wandered the warm sand in my bare feet. I like how the ripple pattern fades into the undulating curves at the top. 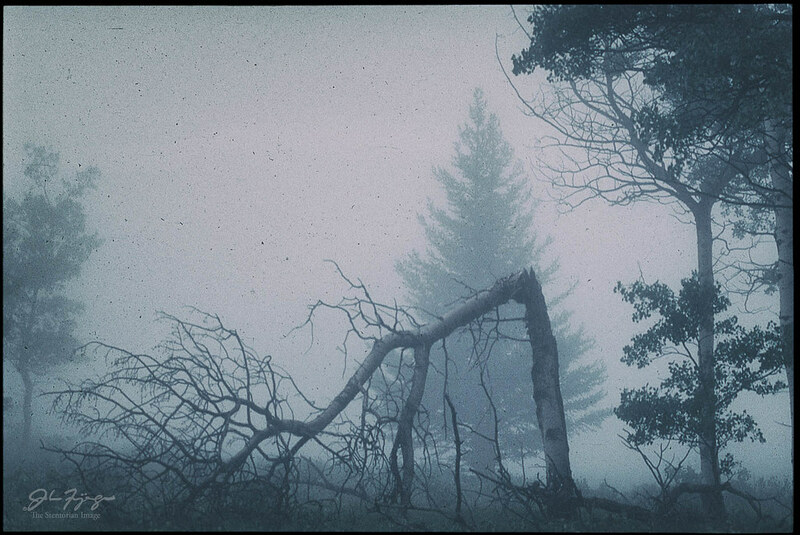 At the Cypress Summer 1986 photo workshop with Courtney Milne, the participants were lucky enough to observe a wide variety of weather conditions. As usual, I was one of the last to get up from shooting before the front hit us. Sometimes, when you can find a high vantage point, you can see sweeping vistas. 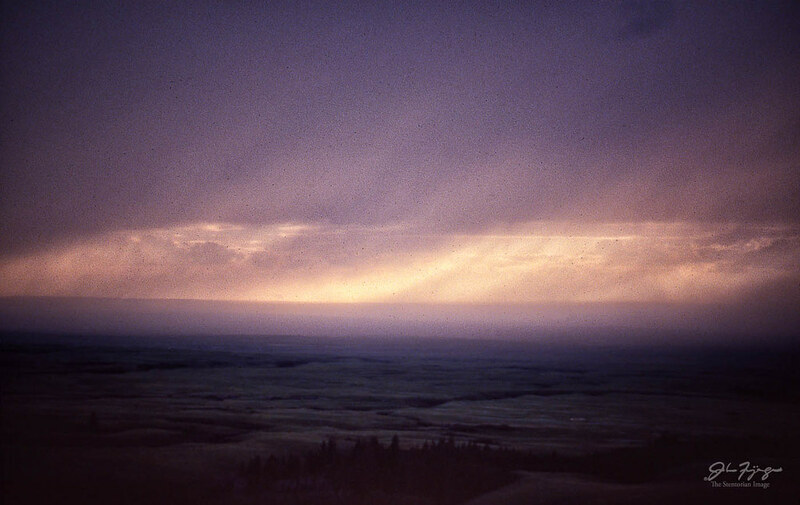 One evening, in June of 1986, a group from Courtney Milne’s Cypress Hills workshop was at such a vantage point. We observed an on rushing rain storm coming at us from miles away. As the distance closed rapidly, we continued shooting. We were barely ahead of the storm when the drops started, and from there it was a mad dash to the cars, hoping we had captured some amazing images on film.